Several breaches were observed from a local "prop scar" whale today. 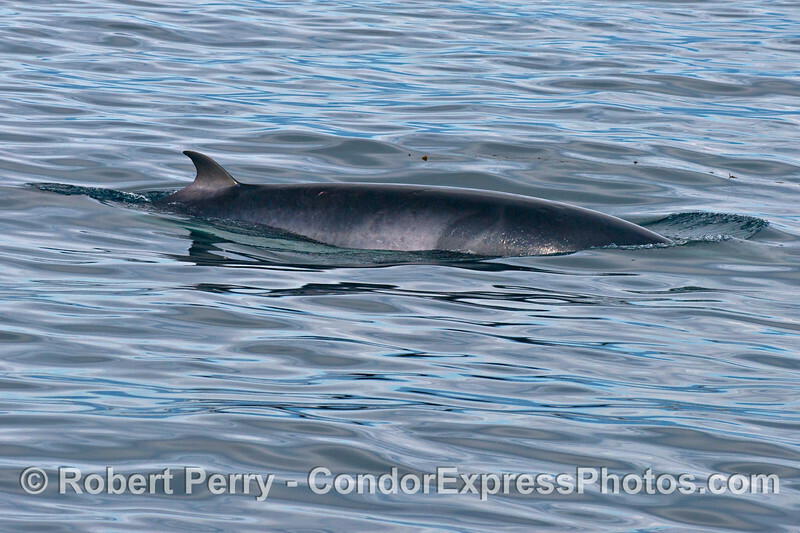 With at least 500 common dolphins in the area all day long, and between 5 and 6 Minke whales, the Condor Express ventured to the feeding grounds again today. 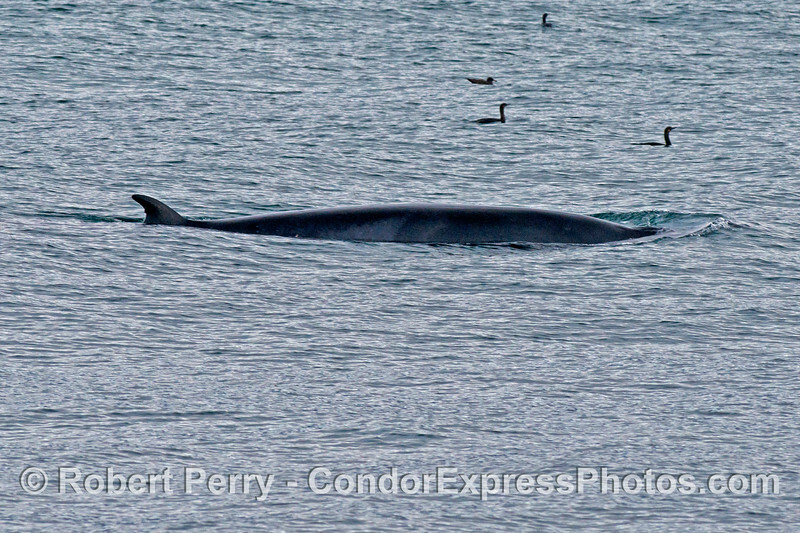 Regular readers of the blog will know that we frequently see a mature humpback whale with a very pronounced and deep propeller scar, and yesterday it breached several times. In fact, this particular individual seems to breach more frequently than some of its buddies around here. 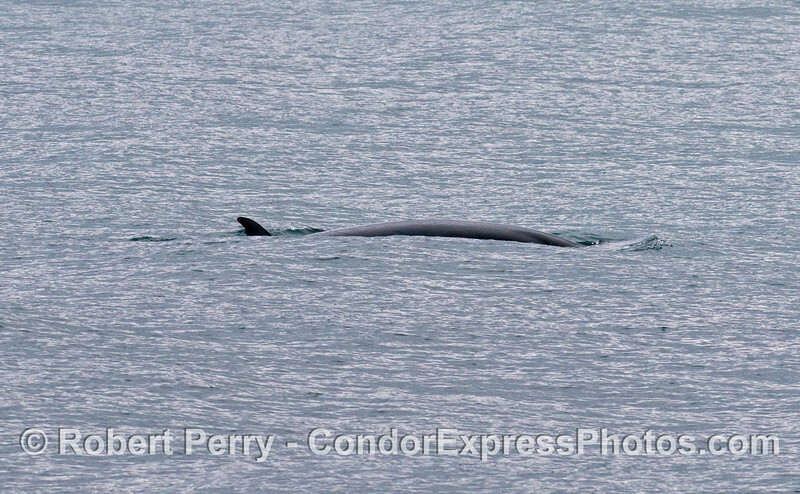 Well, sure enough, we watched "Prop Scar" and its companion for about 30 minutes today as the two whales moved around at a fairly quick speed, taking a jagged course in no particular set direction. After 30 minutes, and out of nowhere, catching everyone completely by surprise, the beast got airborne right alongside the boat and hit the water with a monstrous thump. Wow. A few minutes later, it breached again. What a treat. Don't forget to click the "Map This" button to see where we went. 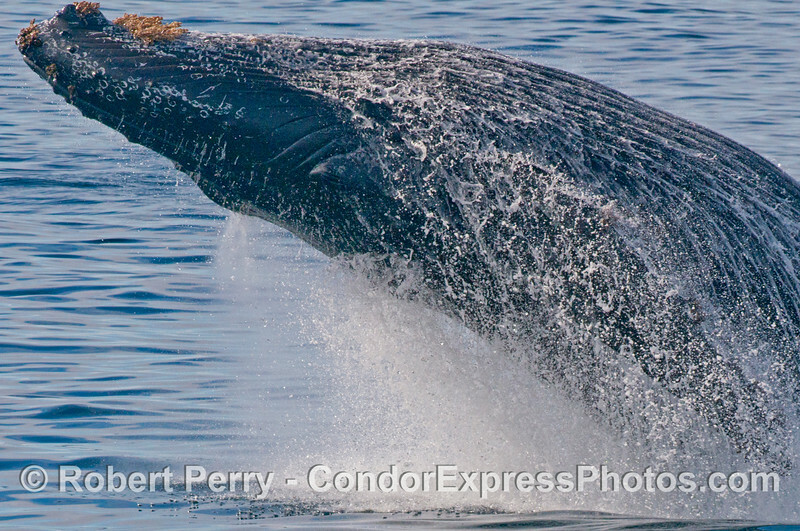 1 of 6 images in a sequence showing a powerful breach by the humpback whale (Megaptera novaeangliae) we call "Prop Scar." In this frame the beast has left the water and is fully airborne. 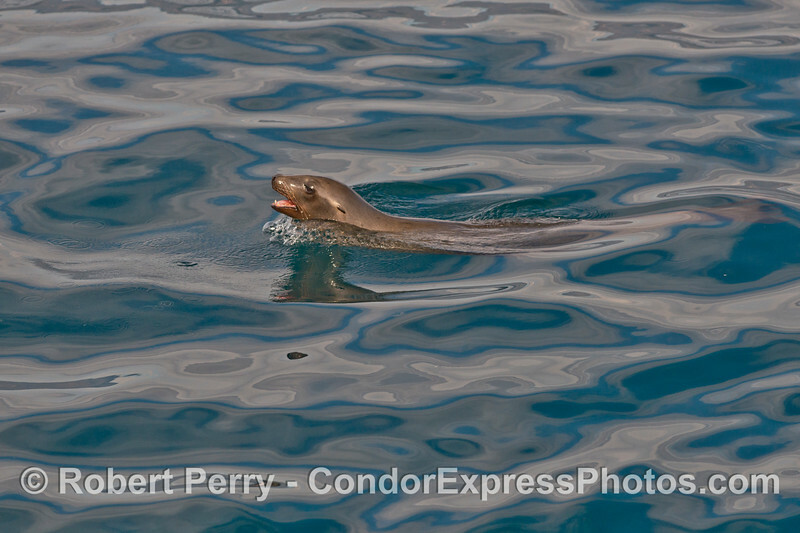 Notice the water streaming off the ventral grooves and large pectoral flipper. 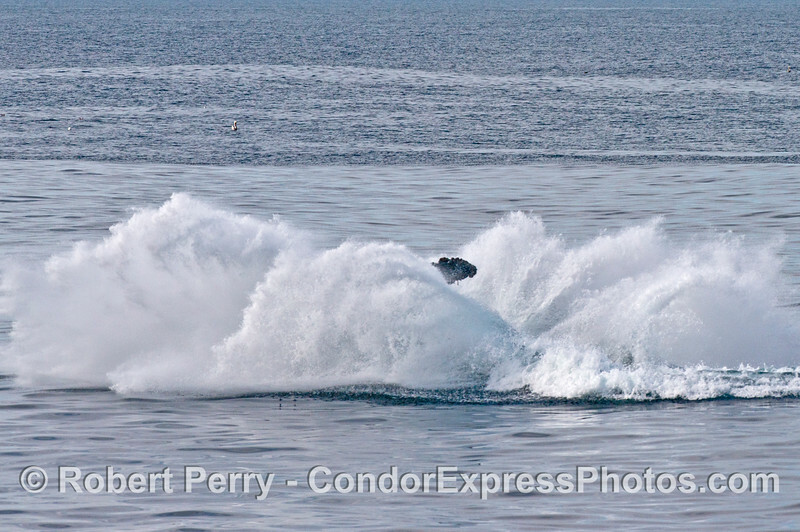 2 of 6 images in a sequence - this frame is showing a very close up look at a powerful breach by the humpback whale (Megaptera novaeangliae) we call "Prop Scar." 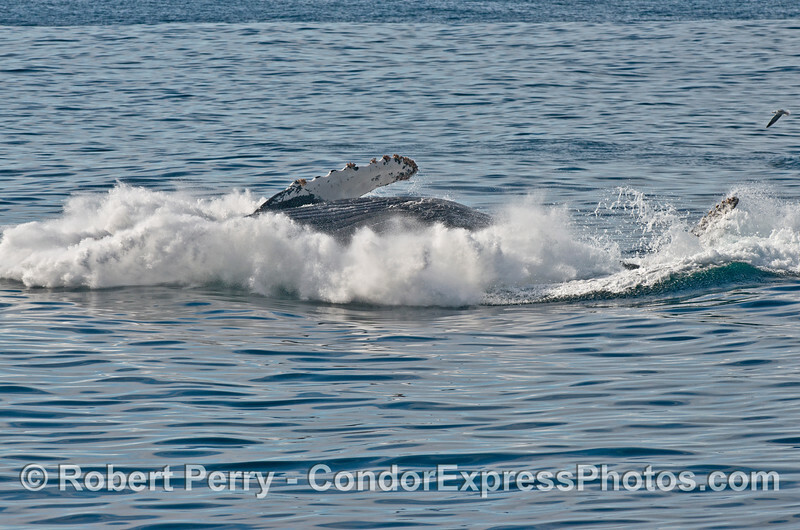 3 of 6 images in a sequence showing a powerful breach by the humpback whale (Megaptera novaeangliae) we call "Prop Scar." Here the beast is about to impact the water. 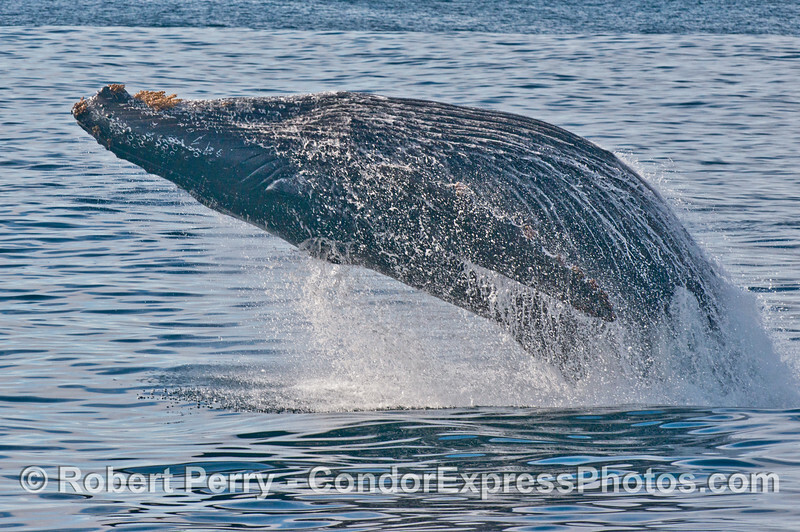 4 of 6 images in a sequence showing a powerful breach by the humpback whale (Megaptera novaeangliae) we call "Prop Scar." The body has now slammed into the surface water. 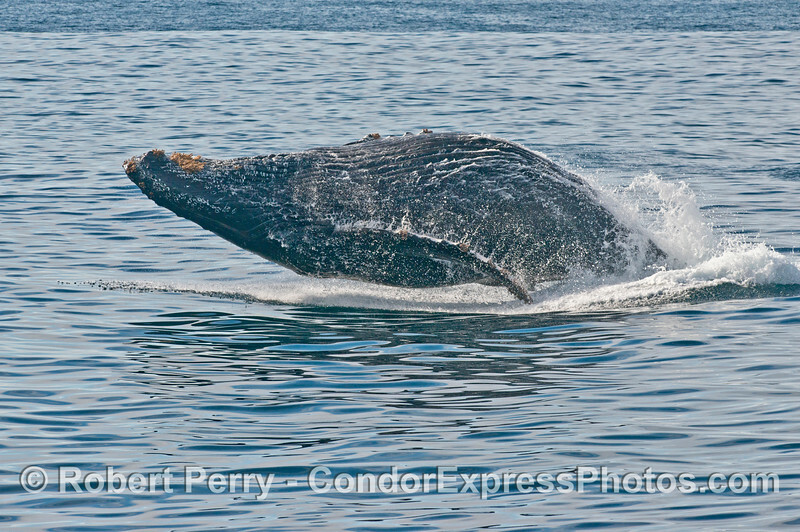 5 of 6 images in a sequence showing a powerful breach by the humpback whale (Megaptera novaeangliae) we call "Prop Scar." 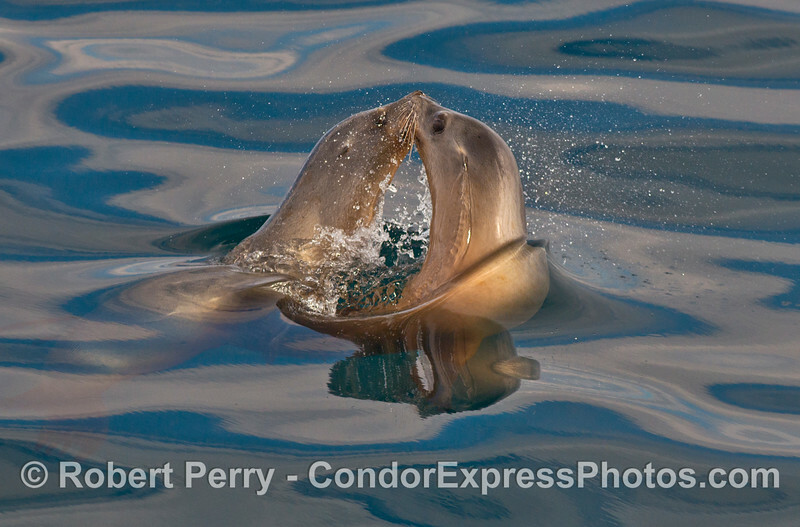 Only part of the belly and a pectoral flipper is still in sight as the foamy splash begins to rise. 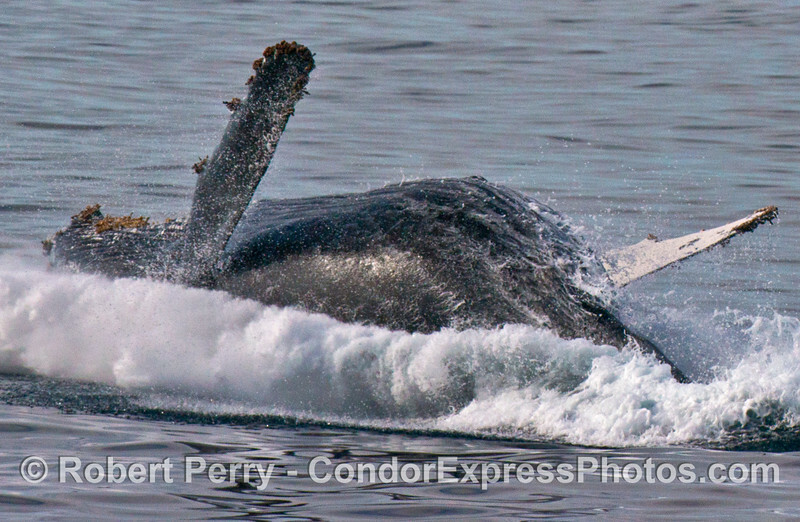 6 of 6 images in a sequence showing a powerful breach by the humpback whale (Megaptera novaeangliae) we call "Prop Scar." Just the distal terminus of the left pectoral fin is seen amidst the spray. Neptunus. 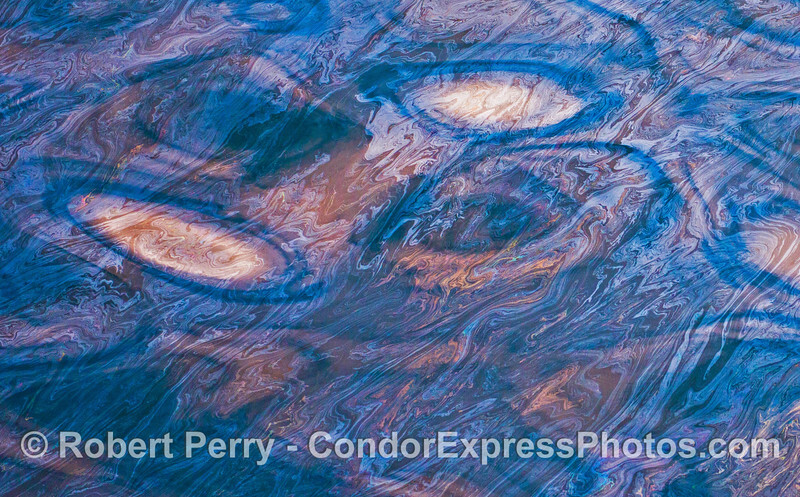 An abstract ocean surface pattern. 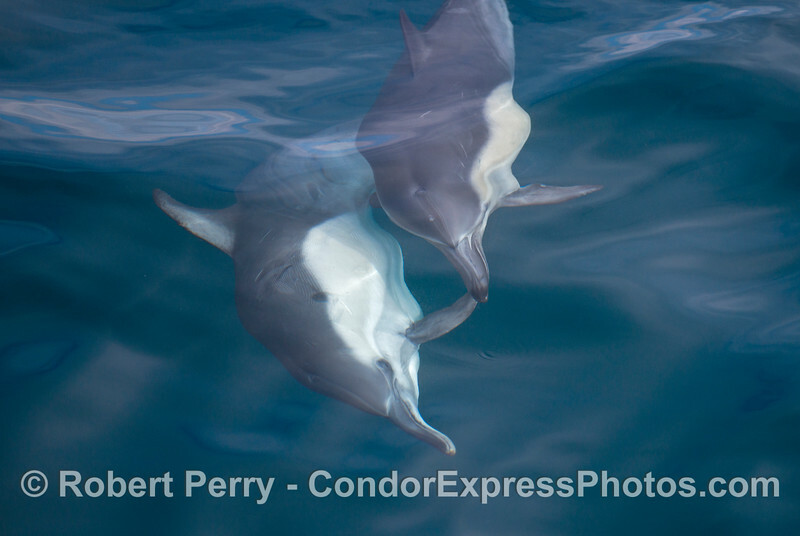 Image 1 of 4 in a sequence - two long beaked common dolphins (Delphinus capensis) cavort beneath the glassy ocean surface. 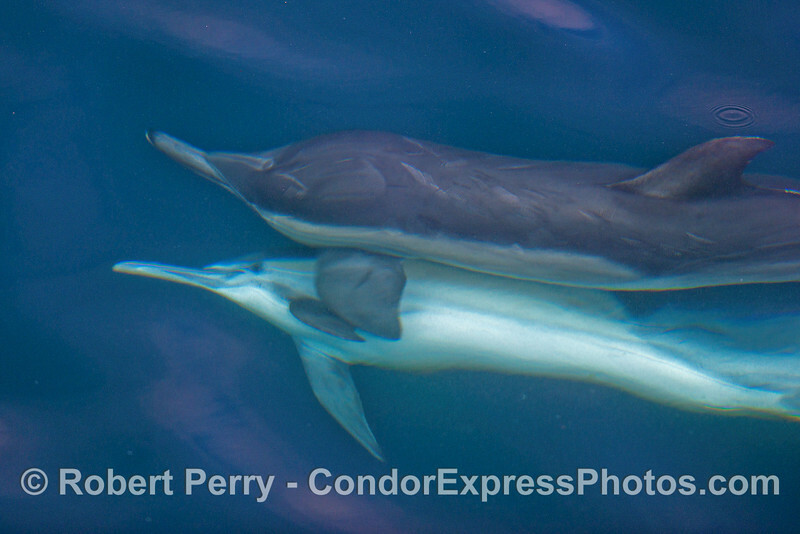 Image 2 of 4 in a sequence - two long beaked common dolphins (Delphinus capensis) cavort beneath the glassy ocean surface. 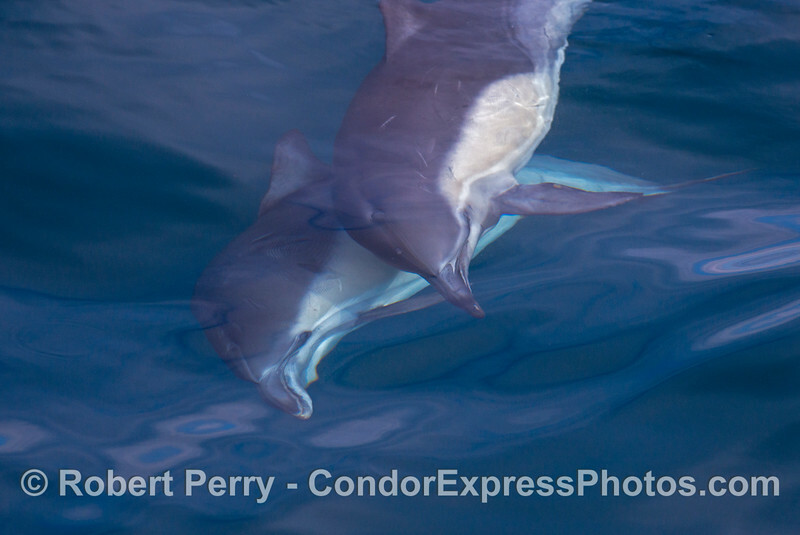 Image 3 of 4 in a sequence - two long beaked common dolphins (Delphinus capensis) cavort beneath the glassy ocean surface. 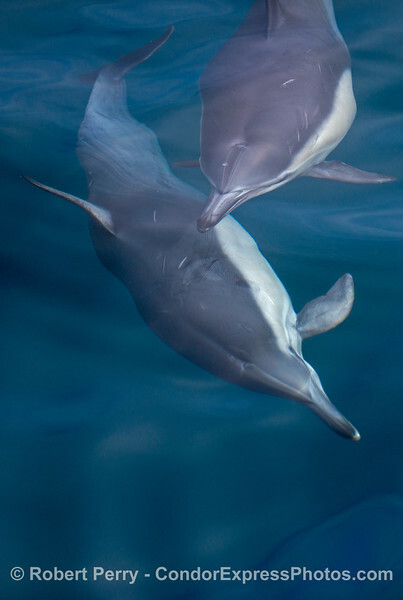 Image 4 of 4 in a sequence - two long beaked common dolphins (Delphinus capensis) cavort beneath the glassy ocean surface. 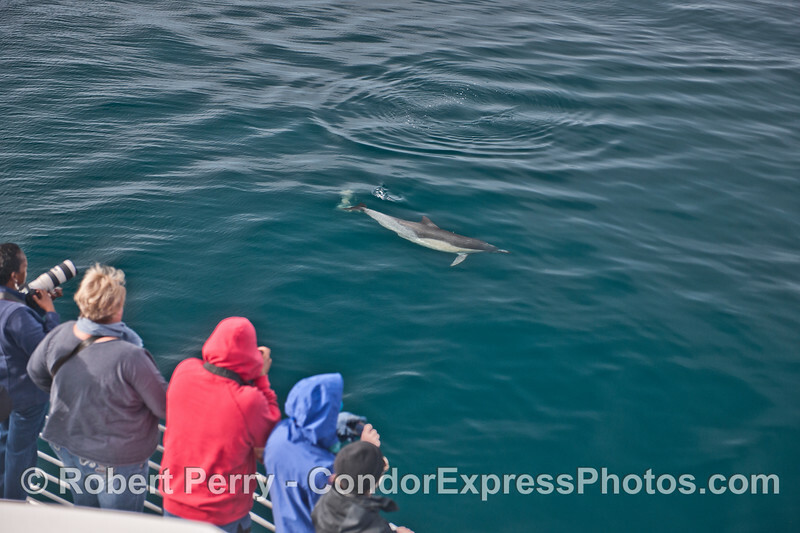 Here a long beaked common dolphin (Delphinus capensis) comes in to take a close look at the humans. 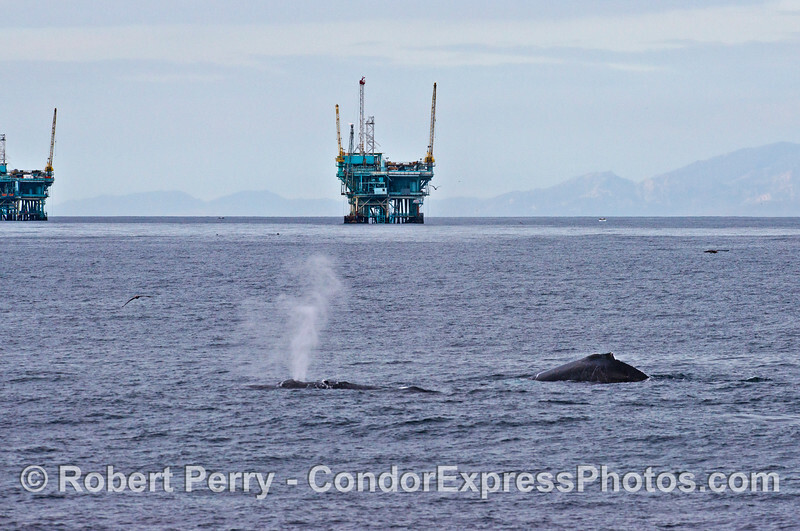 Image 1 of 4 in a sequence - two humpback whales (Megaptera novaeangliae) cruise around offshore oil platforms C, B, A and Hillhouse in the Santa Barbara Channel. 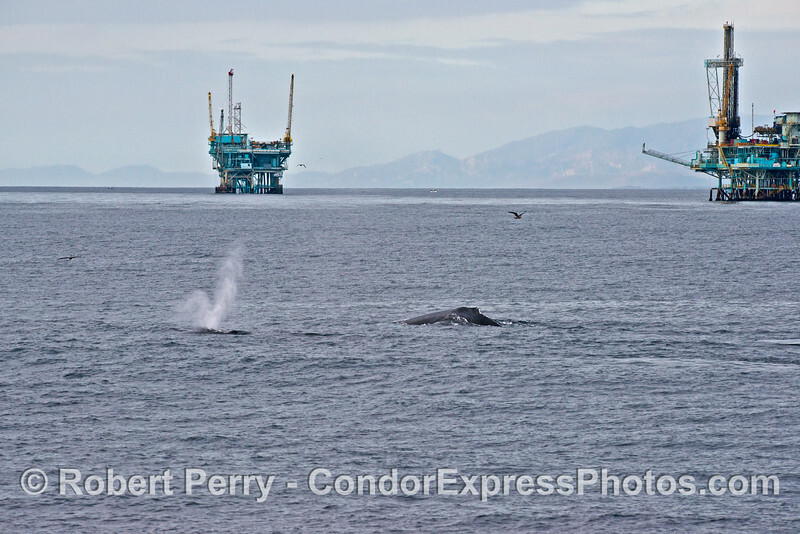 Image 2 of 4 in a sequence - two humpback whales (Megaptera novaeangliae) cruise around offshore oil platforms C, B, A and Hillhouse in the Santa Barbara Channel. 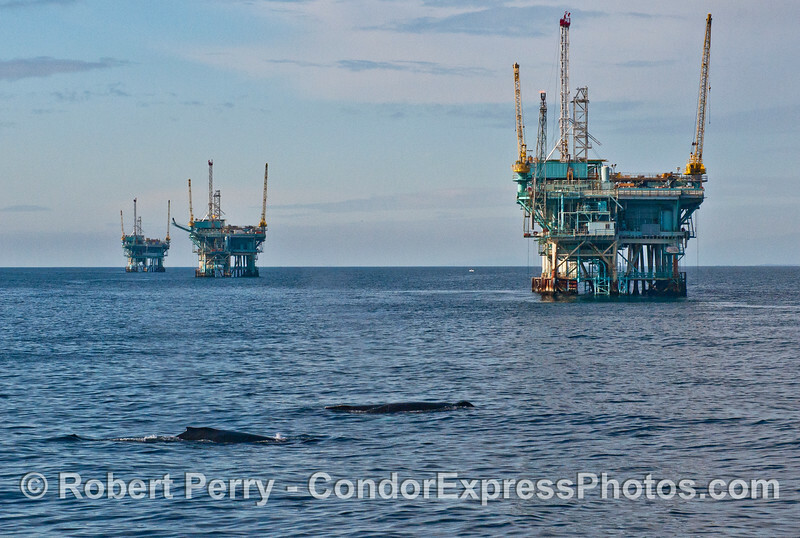 Image 3 of 4 in a sequence - two humpback whales (Megaptera novaeangliae) cruise around offshore oil platforms C, B, A and Hillhouse in the Santa Barbara Channel. 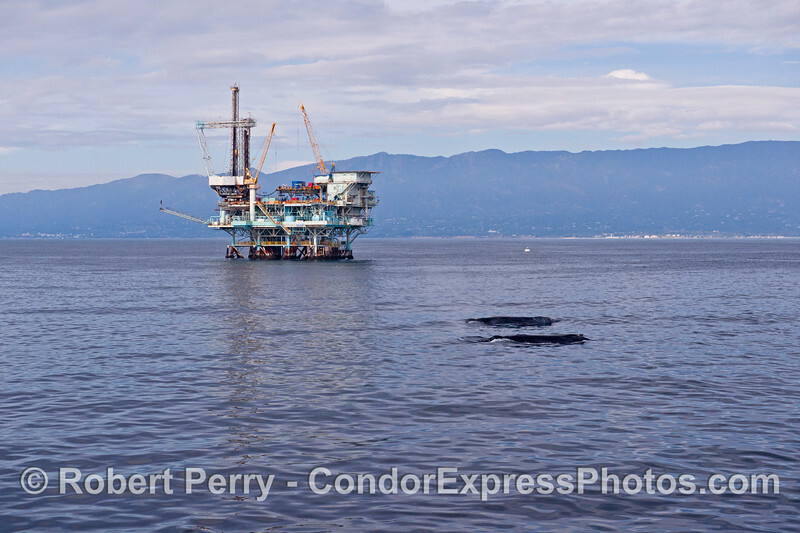 Image 4 of 4 in a sequence - two humpback whales (Megaptera novaeangliae) cruise around offshore oil platforms C, B, A and Hillhouse in the Santa Barbara Channel. 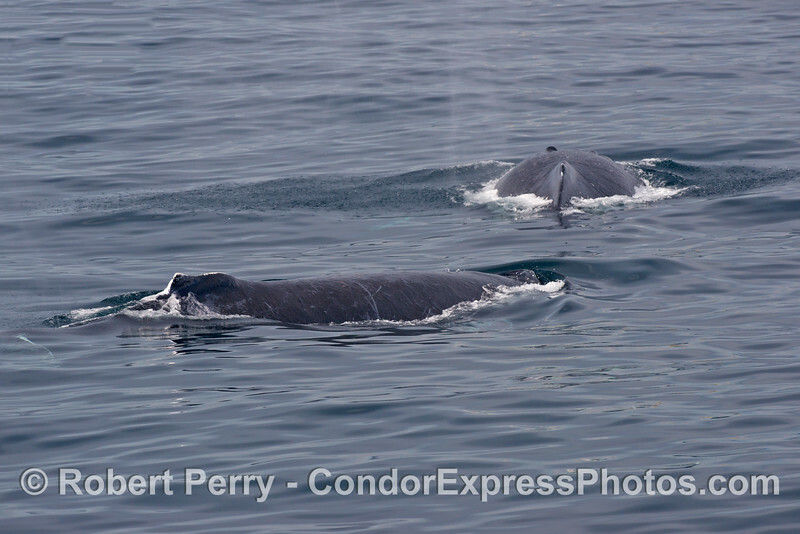 A good view of two humpback whales (Megaptera novaeangliae). 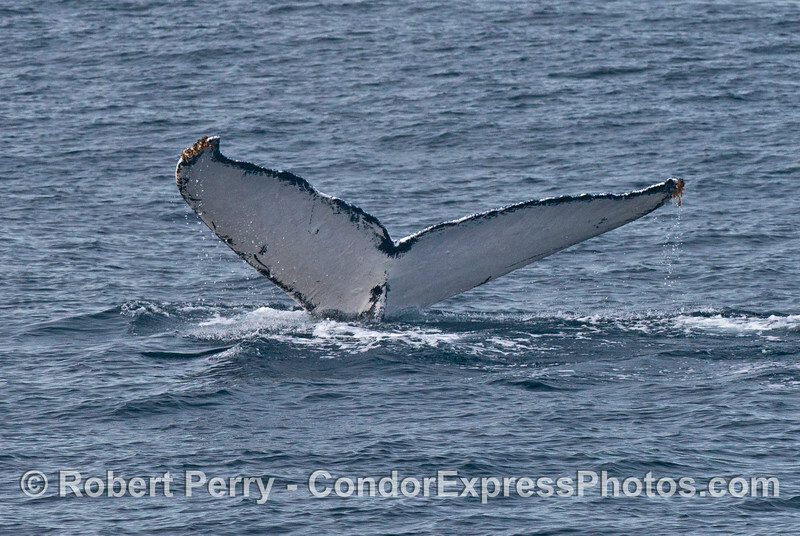 An almost pure white tail fluke of a humpback whale (Megaptera novaeangliae). 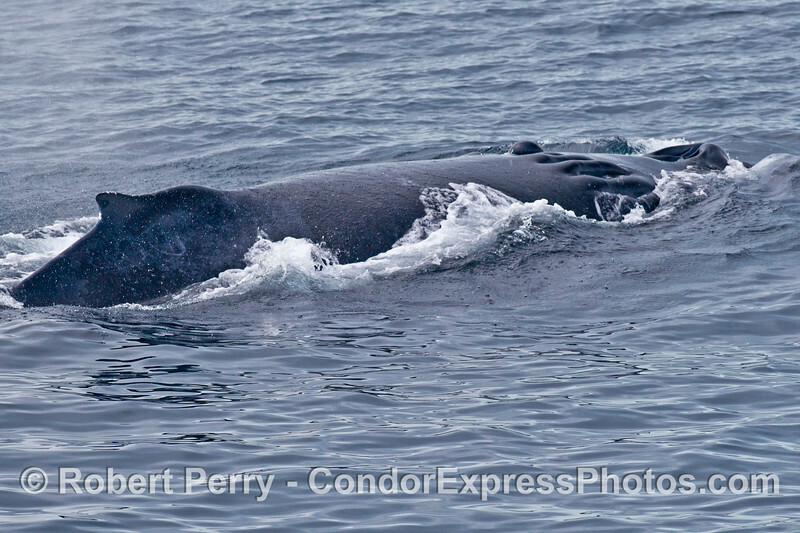 "Prop Scar," the humpback whale (Megaptera novaeangliae) with a deeply cut scar caused by a ship strike with a propeller. 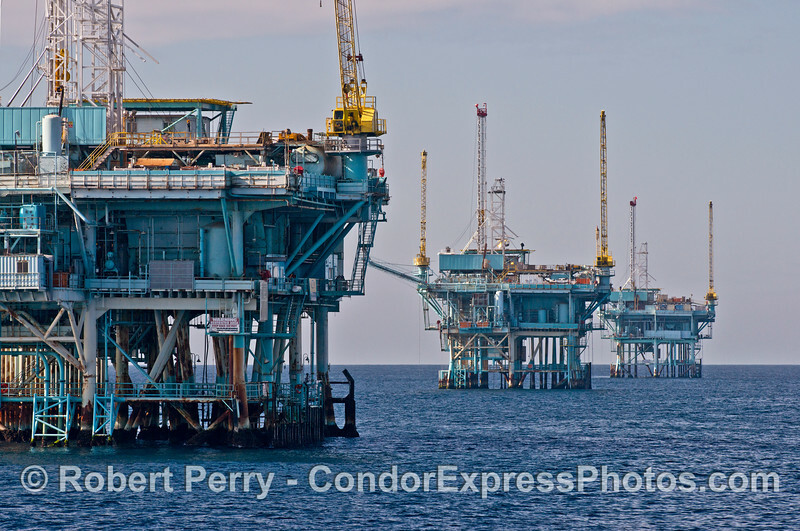 Offshore oil platforms C, B, and A in the Santa Barbara Channel. 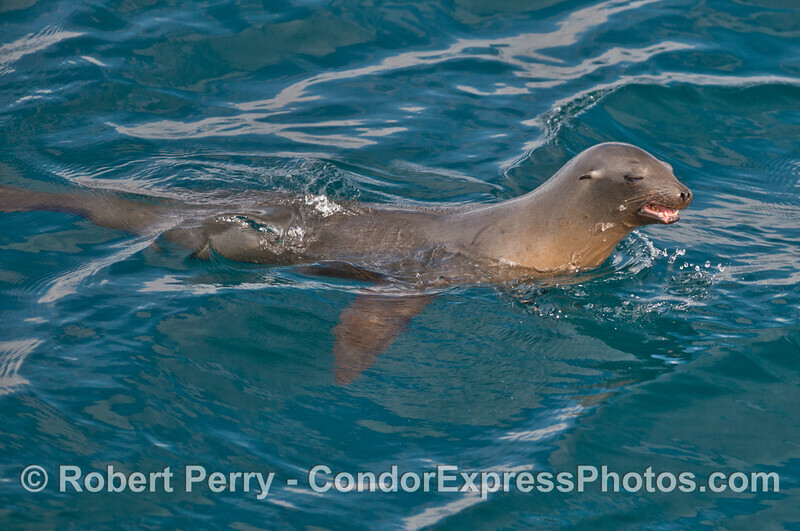 A California sea lion (Zalophus californianus). 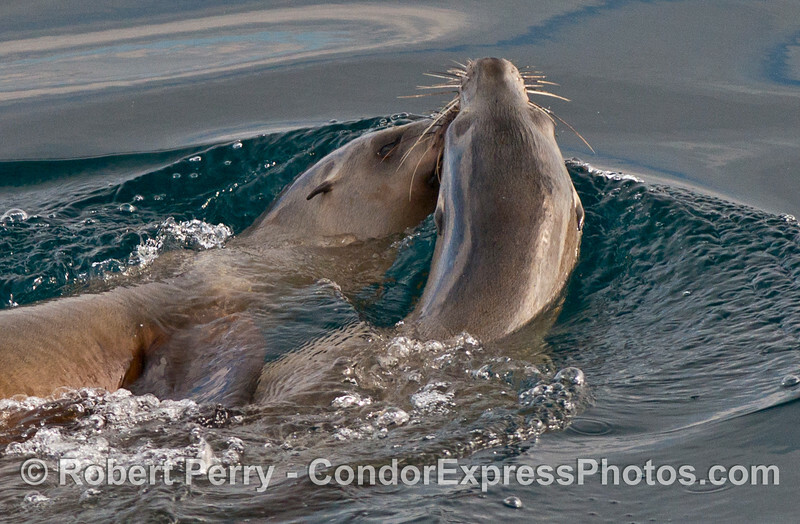 Two California sea lions (Zalophus californianus) "kissing." 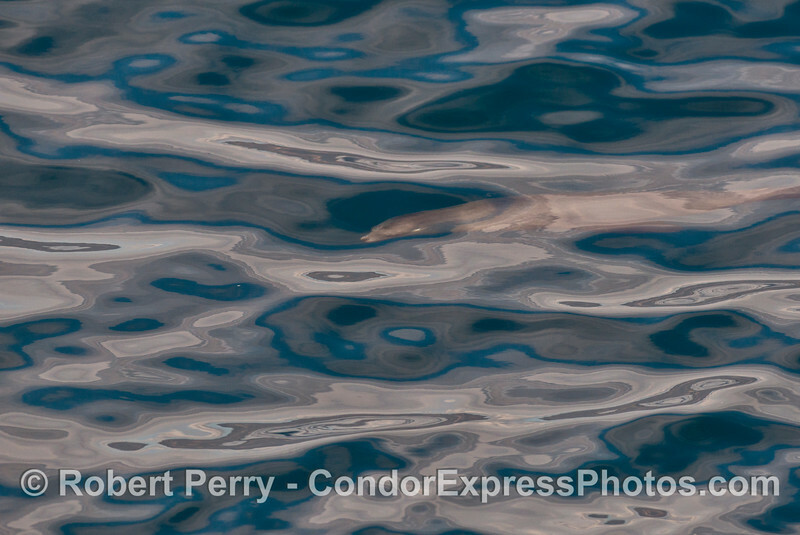 A glassy ocean surface with many interesting patterns conceals a California sea lion (Zalophus californianus) gliding just beneath. 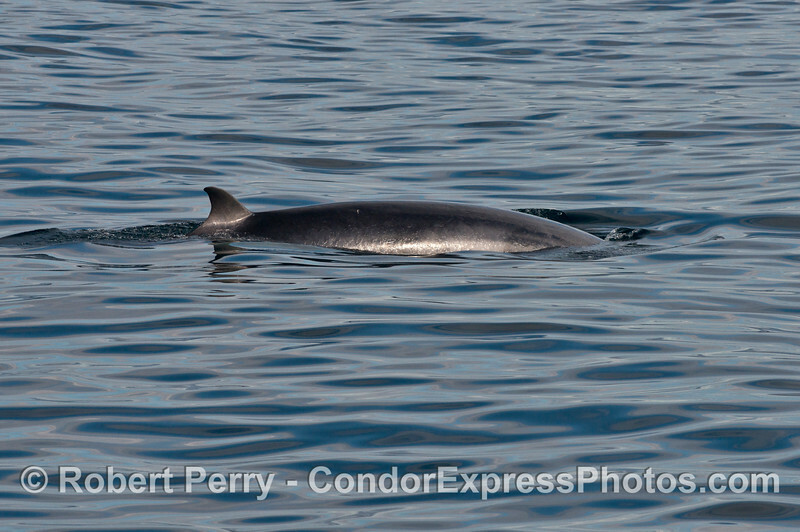 A Minke whale (Balaenoptera acutorostrata).